A long time ago, in a galaxy far, far away a whole bunch of stuff happened across many planets and several star systems. 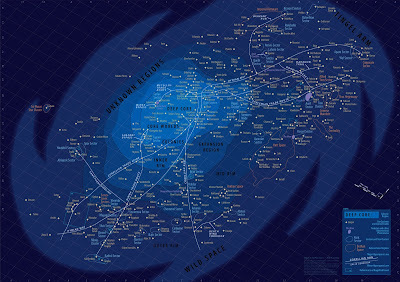 There was talk of trade routes, mentions of far off regions, and a core section of colonies and planets that held most of the galaxy's inhabitants. 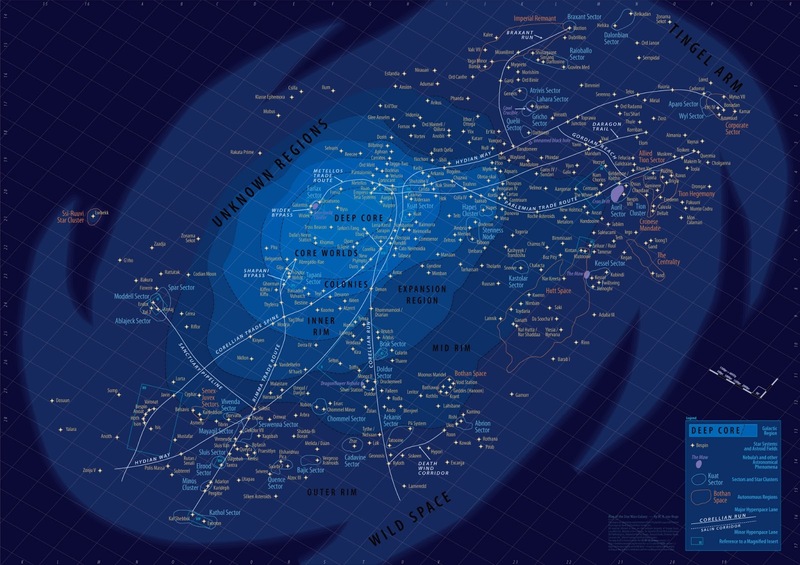 Have you ever wondered how all these planets and systems would be laid out across the now famous fictional galaxy that George Lucas first imagined back in the early 70's? Well, now you can see for yourself thanks to an amazing map that was posted on DiscoveryNews.com. Click the map to see a bigger version. Pretty impressive how this was all thought out and it makes you wonder if more of these planets and systems will be utilized in the upcoming episodes VII, VIII, and IX along with the recently announced stand-alone movies that will all be released in the coming years. 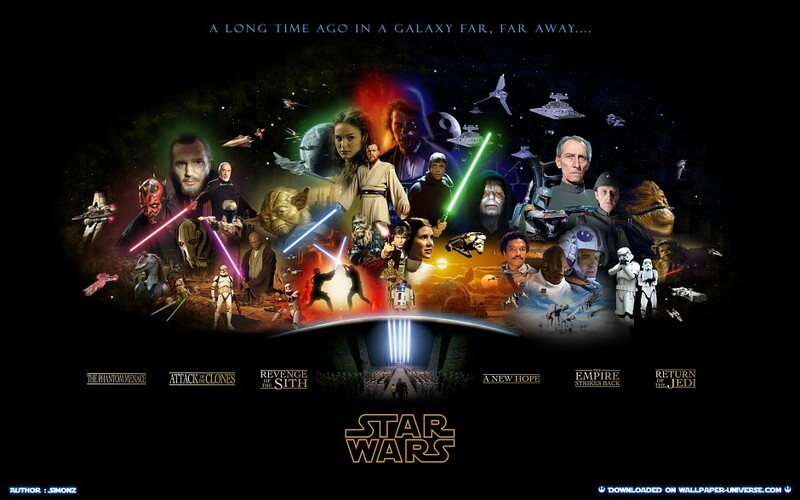 No matter what, this is a very exciting time for fans of the Star Wars universe.